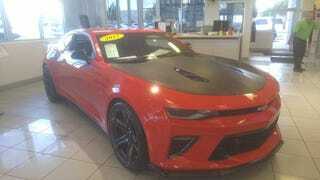 A dealership in Colorado Springs is asking ZL1 1LE money for this SS 1LE with a blower and Lingenfelter badges. 76k bones. They doubled the price of the car because of a 7k dollar supercharger. Reminds me of the “new” 2014 Hennessey Camaro a dealer had when I purchased my 2016.